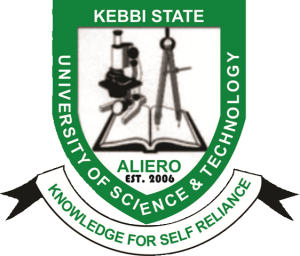 The Matriculation Ceremony for the Fresh Undergraduate students of Kebbi State University of Science and Technology, Aliero (KSUSTA) is scheduled to hold on Tuesday, 26th March, 2019 at the University Multi-purpose Hall by 9:00 am. KSUSTA Matriculation Ceremony Schedule and Procedure for Collection of Academic Gowns. 1. Participate in the rehearsals for the Matriculation Ceremony coming up on Friday, 22nd March, 2019 and Monday, 25th March 2019 by 4:00pm daily at the University Multi-purpose Hall. 2. Collect copies of Matriculation Oath Form from the Academic Division at Room 22 Admin. Block from Friday, 22th March, 2019 to Monday, 25th March, 2019 from 9:00am – 4:00pm daily. 3. Collect Academic Gown from the Faculty Officers on payment of the sum of three hundred naira(₦300) only to the representative of the Bursar at the Student Affairs Division. The Academic Gown must be returned unfailingly on Wednesday, 27th March, 2019 before 12:00noon. Failure to return the Gown on the stipulated date and time will attract a fine of five hundred naira (₦500) per day. 4. Assemble at the Multi-purpose Hall for the actual Matriculation Ceremony on Tuesday, 26th March, 2019 at 8:30am along with your Matriculation Gowns and Oath Forms.